Location The fort trio of Alang-Madan-Kulang is situated in Kalasubai range. 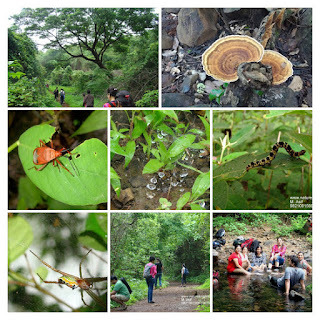 This area is rich with few of the highest mountain peaks in Sahyadri. 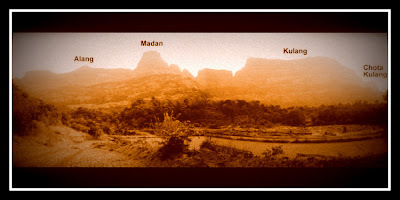 Nearby peaks recognized are Kalsubai (higest peak in Maharashtra) & Ratangad. Other nearby landmarks are Bhandardara backwaters and Igatpuri. Kulang Kulang, Madan and Alang are adjoining peaks and the most prominent among them is Kulang. Standing at the edge of the ghats, it commands a fabulous view all around and tough climb is amply rewarded by a most fascinating sunset. Kulang offers the highest climb from its base to the top in the Sahyadris.The huge rocky terrain, falling steeply to the Konkan presents grand sight. Madangad This is a difficult peak to reach. A broad rocky staircase takes you to the bottom of the rock climbing wall, one must be experienced and careful while climbing this fortress. Further ahead, steps lead to a broad plateau with a huge cave and water ponds. Alang This is a huge fortress of very great natural strength. A series of water cisterns arranged in a semi-circular fashion on the top is a unique sight. Huge caves are there on the top.